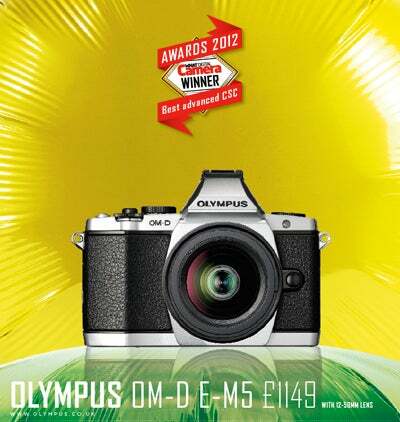 Olympus struck gold when it launched the OM-D E-M5. The company’s first CSC with a built-in electronic viewfinder, the OM-D took its design cues (and its name) from the much-loved 35mm OM SLR system of the 1970s. Except that it’s much, much smaller. It’s no plastic replica either – the OM-D is metal, like the original, which delivers a quality feel, while there’s a grip and battery pack available that also resemble old-school motordrives. But the OM-D is not just a style icon, it has a formidable specification too, with weatherproofing, the best image quality from an Olympus CSC we’ve seen to date (thanks to a brand new 16.1MP sensor), a vari-angle OLED touchscreen, one of the best electronic viewfinders on the market and a 9fps burst mode. Partner this with a selection of high-quality prime lenses and you’ve got yourself a great system.